Wearing a fantastically colourful outfit to stand out in a crowd of more muted tones can boost our confidence and put an extra bounce in our step, right? Having faith in our antiperspirant deodorant is another confidence-booster, as is knowing there are no white marks on our clothes. That’s why the best accessory for your colourful wardrobe is Dove Invisible Dry Antiperspirant Deodorant Stick. This antiperspirant deodorant helps give you the freedom to wear the brightest, boldest colours, avoiding those annoying white antiperspirant deodorant marks on your clothing. We’ve tested it on 100 different colours. 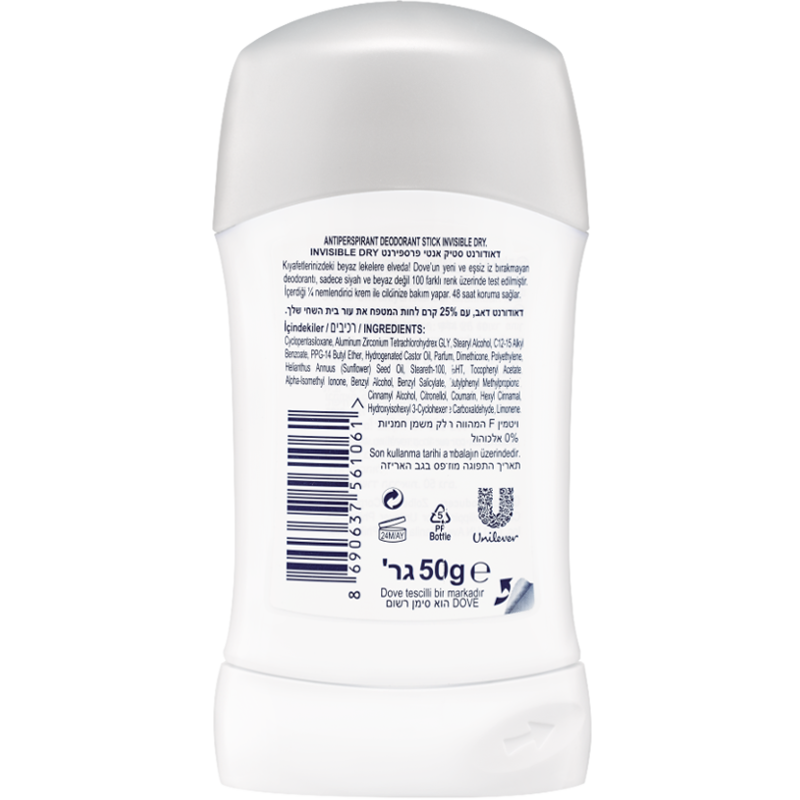 Dove Invisible Dry Antiperspirant Deodorant Stick contains ¼ moisturising cream to help keep your underarms soft and smooth. It helps your delicate underarm skin to recover from the irritation that regular shaving can cause. You can have beautifully soft and smooth underarm skin in just three days. With Dove Invisible Dry, you can remember how great it feels to stand out from the crowd in your most colourful attire. Cyclopentasiloxane, Aluminum Zirconium Tetrachlorohydrex GLY, Stearyl Alcohol, C12-15 Alkyl Benzoate, PPG-14 Butyl Ether, Hydrogenated Castor Oil, Dimethicone, Polyethylene, Parfum, Helianthus Annuss Seed Oil, Steareth-100, BHT, Citric Acid, Alpha-Isomethyl Ionone, Benzyl Alcohol, Benzyl Salicylate, Butylphenyl Methylpropional, Cinnamyl Alcohol, Citronellol, Coumarin, Geraniol, Hexyl Cinnamal, Hydroxycitronellal, Hydroxyisohexyl 3-Cyclohexene Carboxaldehyde, Limonene, Linalool. 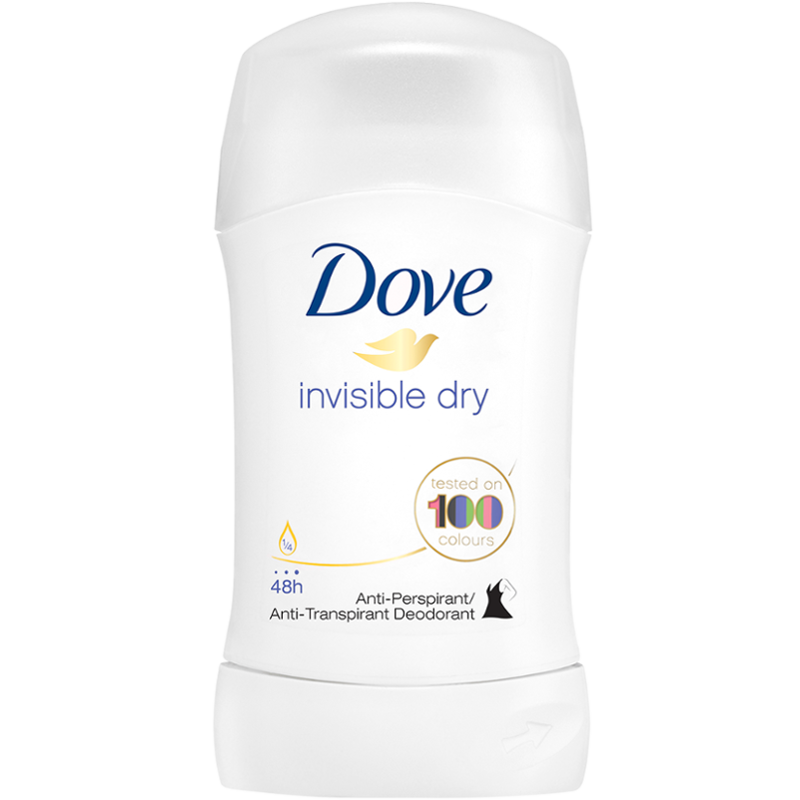 I love using this Dove Invisible Dry Stick Antiperspirant Deodorant it gives me dry armpits after it has absorbed in to my skin. It has a lovely,nice scent to it and lasts long roughly up to 48hrs. It is better to use the antiperspirant in the summer or when your on your monthly cycles due to the hormones. I normally just rub the cream evenly on to my shaved armpits and then allow it to dry over night also there isn't any irritation. This dry stick deo efficiently addresses the issue of wet armpits and can be used on the hottest summer day. It has a soft texture and doesn't cause any irritation even if applied after shaving or depilation. Two swipes on one armpit is more then enough to live through the day nice and clean. 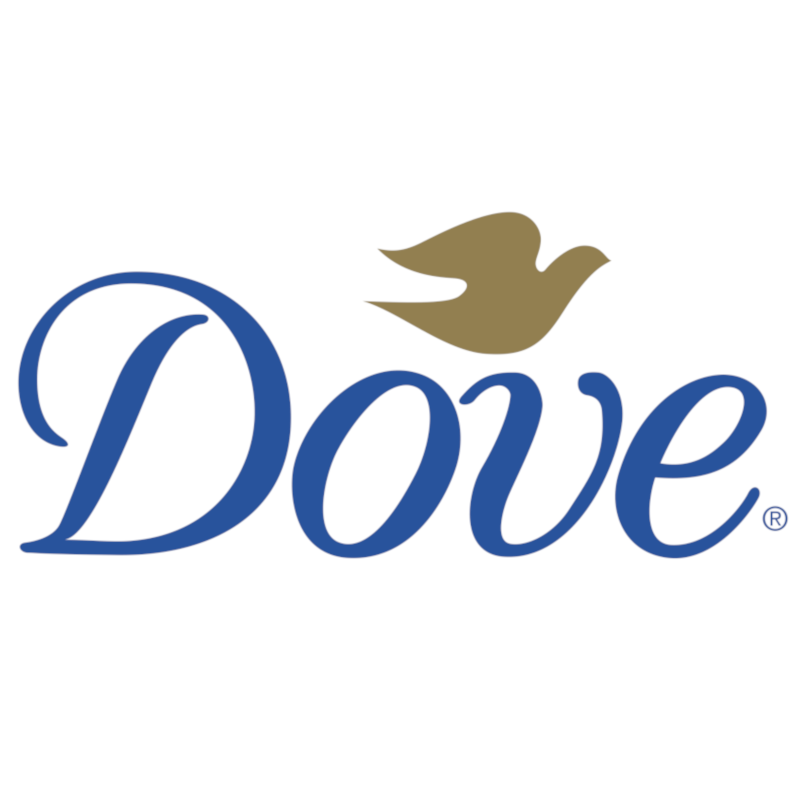 However, perhaps it is me, but the majority of Dove products (deos mostly) have cloying and overly sweet scents. I usually mask them with perfume. These types of antiperspirants also leave yellow stains on clothes with time (despite any promises of the producer to the contrary). 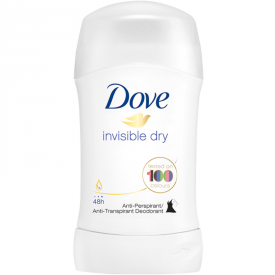 Dove Invisible Dry Stick Antiperspirant Deodorant isn't perfect, but it is cheap and efficient, thus I can recommend it despite its two weakest points. I tried this product before and it collects little and tiny pieces of dust and clothes pieces and it can not be cleaned. I think this is not the besst product.Not protects.